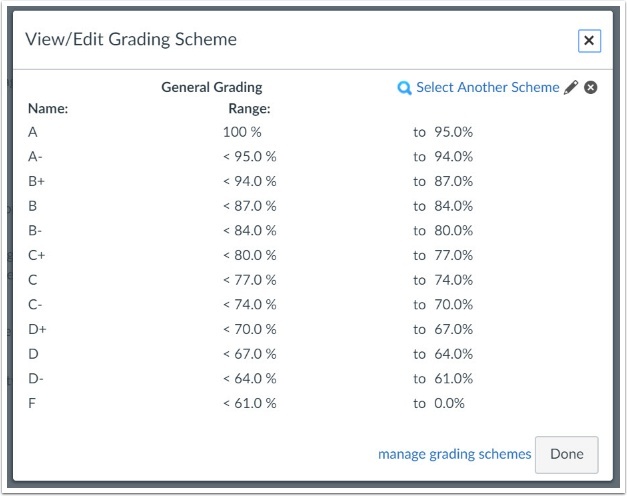 Within Canvas @ Yale, there is a default grading scheme set by Canvas. If your course has its own grading scheme, you can modify this grading scheme easily. This article provides the directions on how to create a grading scheme and how to embed this grading scheme into your course. How do I embed a grading scheme for a course? Next: How do I submit audio/video feedback to a student?